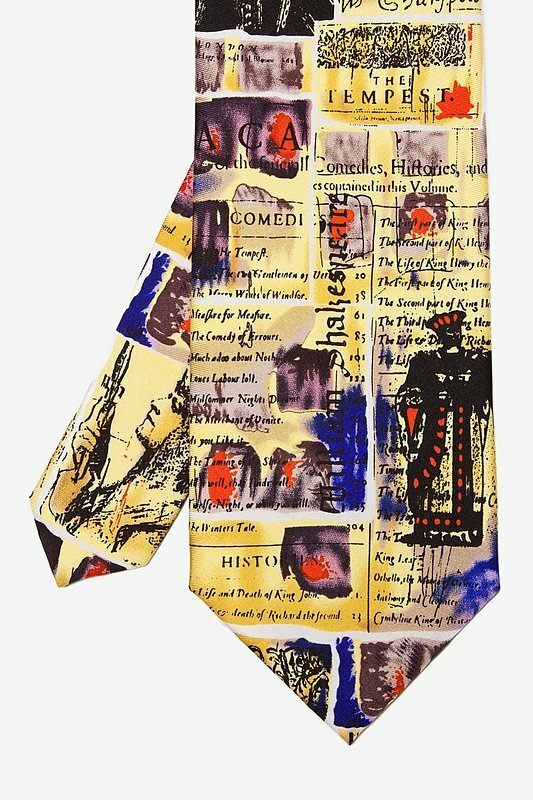 If Shakespeare's love stories, comedies, and tragedies are among your favorite stories, why not wear your literary hero for all the world to see! 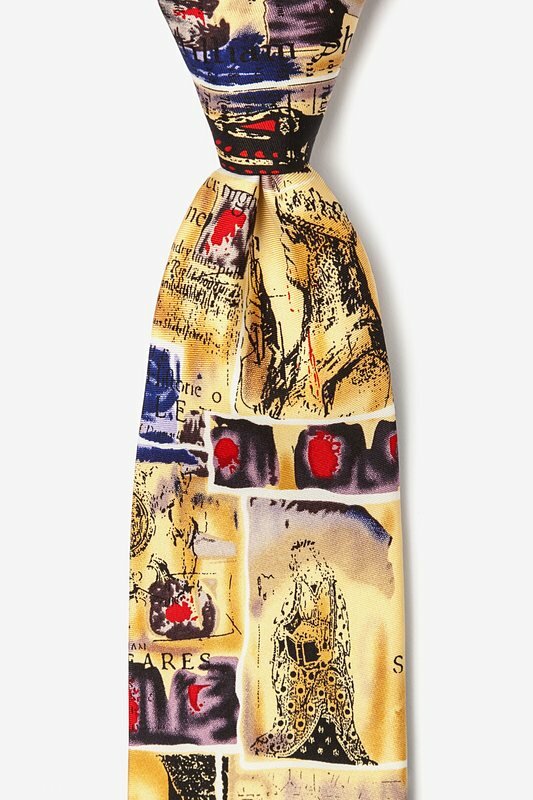 Celebrate the great... read more If Shakespeare's love stories, comedies, and tragedies are among your favorite stories, why not wear your literary hero for all the world to see! 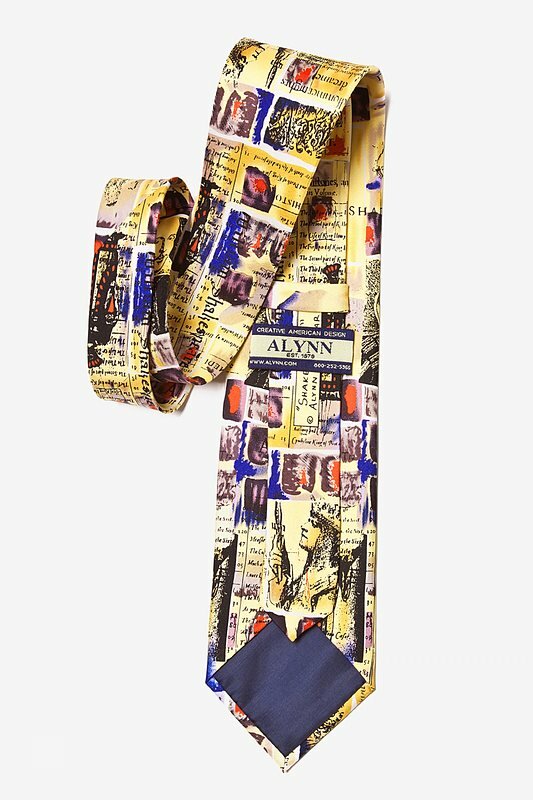 Celebrate the greatest wordsmith in history with the Shakespeare Tie by Alynn Neckwear. 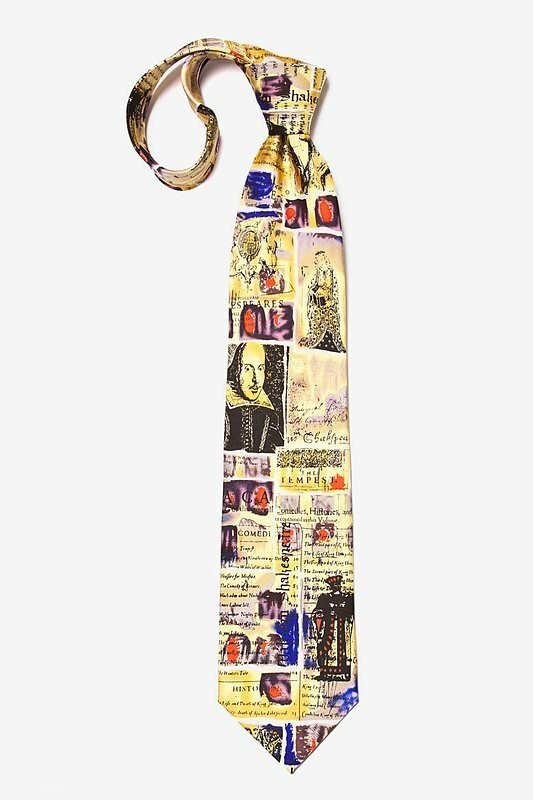 This 100% silk tie will bring to mind the best plays, sonnets, and quotes of our time.